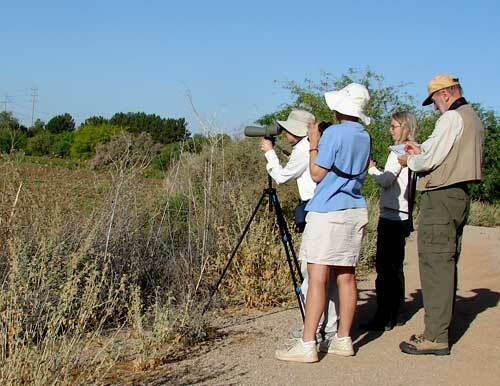 Once a month a dedicated group of experienced birders, led by Stacy Burleigh, hit the trails at Gilbert Water Ranch (GWR) to count each and every waterfowl they see at all 7 ponds. If you've ever been to GWR you realize that's a LOT of counting. So, why bother counting all those ducks, geese, herons, egrets, cormorants, avocets, stilts, and other shorebirds? 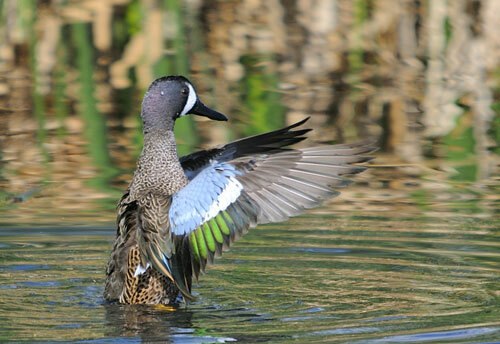 Because GWR is one several Important Bird Areas in the state, so the population and migration patterns of waterfowl are carefully monitored. This Monday's count had a number of highlights - a Semipalmated Plover in pond 7, a pair of Blue-winged Teals in pond 2, a sudden flyover of 24 Ring-billed Gulls, one Long-billed Curlew in pond 2, two Western Sandpipers in pond 2, and three Wilson's Phalaropes in pond 3! We counted 619 birds, down from 1939 last month. A sign that summer is here and our wintering ducks have moved on. 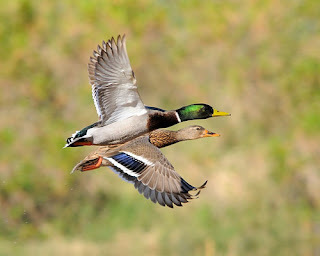 The mallards and coots have their ponds back, until next fall. The Arizona IBA Program has completely redesigned their website and it is better than ever! 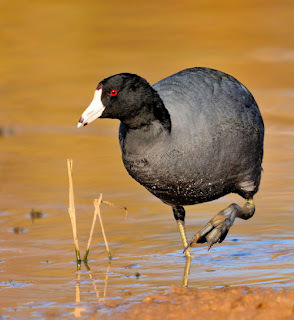 This new website features much more information about Arizona’s Important Bird Areas as well as highlighting how volunteers can get involved with the program. Each of Arizona’s 42 IBAs has its own profile page, complete with a description, data analysis, photos of habitat and birds along with 2 GIS maps of that IBA at the bottom. To help get potential volunteers excited there is also an IBA blog, a history of the IBA program in Arizona and a “Like” widget that links back to the official Arizona IBA Facebook page. There is also a great calendar of events that shows all of the volunteer survey opportunities as well as IBA events. The new website still features the same resources for surveyors as the original. All data sheets and protocols are available and there is a portal to the AZ IBA database. Check it out for yourself at http://www.aziba.org/. Very nice Peggy, thanks for posting. Good luck with the upcoming NAMC next weekend! Thanks Laurence. You're a great birder, you should come out and help with an IBA count at GWR sometime.